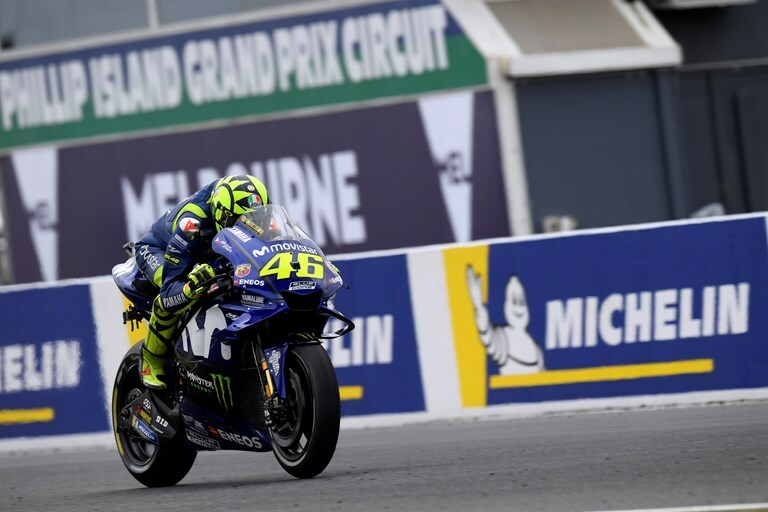 Following a superb victory at the Phillip Island track last Sunday, the Movistar Yamaha MotoGP Team is fully motivated to turn up ready for combat again this weekend at the Sepang International Circuit. This race weekend will be testing the riders’ stamina even more than usual, as the Shell Malaysia Motorcycle Grand Prix is the last of the triple back-to-back races, and the region is known for its extreme heat. Nevertheless, Valentino Rossi is looking forward to getting back into action this weekend at the Sepang track, and for good reasons. The Doctor has had his fair share of success in Malaysia. He delighted the fans by snatching victories in 2001, 2003, 2004, 2006, 2008 and 2010, securing second places in 2002, 2005, 2014, and 2016, and taking third places in 2009 and 2015. This weekend he hopes to add another top result to this impressive list in order to inch closer to second position in the championship standings, from which he’s currently 15 points adrift, as he holds on to third place. Having stepped onto the top step of the Australian rostrum last weekend, Maverick Viñales is now just 15 points behind his teammate and currently still in fourth position in the overall rankings. The recent victory leaves him even more impatient to meet his fans at the Malaysian track, which is another strong circuit for him. The Spaniard is determined to keep his newly gained momentum going this weekend, especially as he’s yet to claim a premier class MotoGP prize in Sepang. In previous years he reached the podium on two occasions, securing a win in the 125cc class in 2011 and in the Moto2 race in 2014. In 2016 he secured sixth place, his best premier class placement at this track thus far. The Sepang International Circuit held its first Grand Prix in 1999 and has been on the MotoGP calendar ever since. The 5.5 km track has a reputation for providing very exciting racing thanks to a mixture of slow and medium to high-speed corners (five left and ten right), and its two long straights, the longest measuring 920m. The circuit is also one of the longest tracks of the MotoGP season, which has to be completed in extremely hot and humid conditions, making this weekend’s GP, at the end of the triple-header, extra challenging for the riders. Following a tough Australian race day, the Monster Yamaha Tech3 duo of Johann Zarco and Hafizh Syahrin can’t wait to arrive in Malaysia for the second last round of the 2018 MotoGP World Championship. While the fast Frenchman is fully motivated to make up for the lost points and recover ground in the fight for the independent riders’ championship, Syahrin faces a very special weekend. The MotoGP rookie will head to his country for the very first time in the premier class and aims high in front of his home crowd. The much-anticipated hot event is set to commence with the first Free Practice session at 10.55 local time (3.55 CET) this Friday.